GhostBed Vs. Nectar Mattress Comparison - Which Is Best For You? Home » GhostBed Vs. Nectar Mattress Comparison – Which Is Best For You? GhostBed Vs. Nectar Mattress Comparison – Which Is Best For You? What position do you sleep in? Do you feel most comfortable sleeping on your side, or do you prefer lying on your back or stomach? This is an important question to consider, especially if you are choosing between mattresses like the GhostBed and the Nectar. If you think about your sleeping position, as well as the type of mattress feel that you prefer, it shouldn’t be too difficult to pick the right one. I have all the information you need to make your decision an easy one. Which mattress will be the perfect match for you? Read on for my full comparison. They are both a good value. The Nectar is more affordable than the GhostBed. The mattresses have some material and construction differences. The GhostBed is firmer than the Nectar. The Nectar has a classic memory foam feel, while the GhostBed has a balanced feel. The final layer is 7.5” of a high-density, base support foam. The first layer is 1’’ of Quilted Gel Memory Foam, which adds loft, comfort, and another level of breathability. 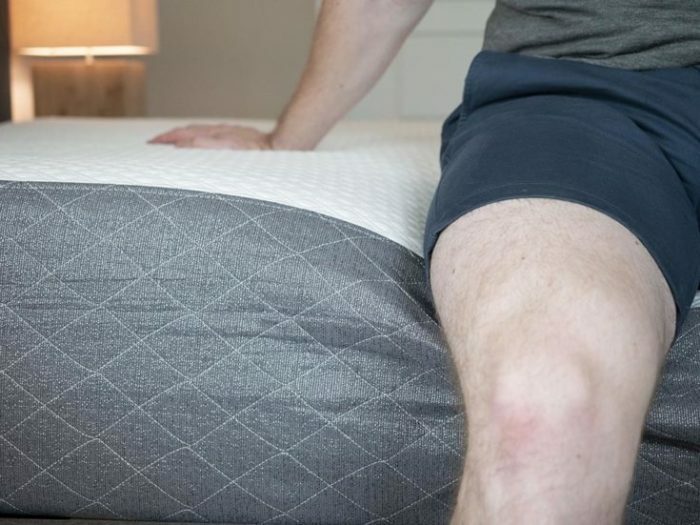 The third layer is 3” of an Adaptive Hi Core Memory Foam, which is designed to contour the mattress to your pressure points without sacrificing rebound and bounce. The base layer is nearly 6″ and 2.2 lb, which adds a level of firmness and also breathability. 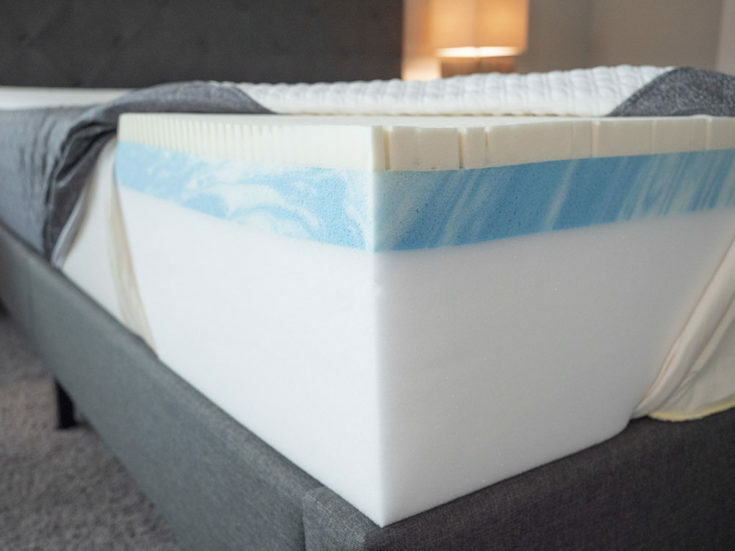 The GhostBed has latex on top and memory foam in the second layer. This design keeps you from sinking in too far, so you get more of a balanced feel. The latex on the GhostBed also adds a level of breathability. It should be the cooler sleeping mattress, so you shouldn’t be overheating on the GhostBed. The Nectar also features decent breathability. The Nectar has thick layers of memory foam on top. This gives the mattress a more classic memory foam feel. The high-density materials and construction of the GhostBed means it should be more durable than the Nectar mattress. In terms of firmness, I thought the GhostBed feels like a 7.5/10, or firmer than average. The Nectar feels like a 6/10, or softer than average. I feel well supported on my back. My hips sink into the mattress, but not too far. Also, the top latex layer helps support my lumbar area. The mattress is too firm when I am on my side. I feel some serious pressure on my shoulders and hips. When I am on my stomach, I am also feeling great support. My hips don’t bow in, and I feel like I am in good alignment. While back sleeping on the Nectar, I feel decent support. That being said, it might be a tad too soft for me. My hips sink in a fair amount, so I would probably choose the GhostBed if I wanted to sleep primarily on my back. When I lie on my side, the Nectar feels the best. The mattress feels firm at first, but I slowly sink into the mattress. I feel almost no pressure on my shoulders and hips. The mattress is too soft when I am on my stomach. The GhostBed has a balanced feel that keeps you from sinking in too far. You sleep more on top of the mattress. The Nectar has a classic memory foam feel that allows you to sink and sleep “in” the mattress. See more about GhostBed’s balanced feel in the video below. Now watch the video below for more information about the Nectar’s memory foam feel. When it comes to handling motion transfer, memory foam really is the best. While the GhostBed has memory foam in its design, the Nectar has thick layers right on top. Because of this, the Nectar performs better at cutting down on motion transfer. I placed a glass of water on the Nectar and pressed into the surrounding area. The water was barely disturbed. Also, when Marten moved around on the other side of the mattress, I barely felt his movements on my side. Overall, I think the Nectar would be the better choice for couples. See how the GhostBed deals with motion transfer. Now compare this to the Nectar. Between these two mattresses, the GhostBed has better edge support. It is the firmer, more supportive mattress, so I feel more secure near the edge of the GhostBed. Sitting near the edge of the mattress, I feel more comfortable leaning over and tying my shoes. Also, when I lie down near the edge of the GhostBed, I feel less like I am going to roll off the mattress. In terms of firmness, I said the GhostBed was an 8.5/10, and the Nectar was a 6/10. Back sleeping on the GhostBed, I am supported overall. However, it might be a little too firm for me. My hips don’t sink in quite enough. On my side, the mattress is also too firm for me. I’m feeling some pressure on my shoulders and hips. When I’m on my stomach, I feel good overall support. I feel very nice when I’m back sleeping on the Nectar. My hips sink in the right amount, and the foam conforms to the curves of my body. When I’m on my side, I feel better pressure relief than I feel on the GhostBed. On my stomach, I definitely need more overall support. If you a larger back sleeper, both mattresses could work for you. If you want your hips to sink in a bit more, I would lean toward the Nectar. If you are a heavier side sleeper, I would also choose the Nectar. If you are a heavier stomach sleeper, the GhostBed should give you better support. Marten thought the GhostBed was firmer than I did. This is most likely because he pressed further into the mattress than I did. At the same time, he thought the Nectar was supportive enough when he was on his back. As he said, heavier people should consider their feel preferences when choosing between these two mattresses. You prefer a firmer mattress. The GhostBed is definitely the firmer of these two mattresses. If you need more support or just like the feeling of a firm mattress, the GhostBed should work for you. You are a back or stomach sleeper. This is going to be the more supportive mattress, so if you sleep primarily on your back or stomach, this is the mattress to choose. You shouldn’t sink too far into the mattress, and you should feel properly aligned on the GhostBed. Even heavier back and stomach sleepers should get the support they need. You like to sleep on top of your mattress. If you don’t like sinking into your mattress and prefer to sleep on top, the GhostBed should work for you. It is firmer-than-average, and the comfort layer isn’t very thick. You shouldn’t sink in too far. You prefer a softer mattress. The Nectar is softer than the GhostBed, so if you need a little less support and more comfort, the Nectar should work for you. You are a side sleeper. If you sleep mainly in this position, the Nectar should be the mattress for you. It offers better pressure relief, and as long as you aren’t too heavy, you should sink in and feel almost no pressure on your shoulders and hips. You like to sink into your mattress. If you prefer sleeping in your mattress, I would choose the Nectar. It has that classic memory foam feel where you slowly sink in. You should feel enveloped by this soft mattress. If you keep this information in mind, it should be easy to choose between the GhostBed and Nectar mattresses. 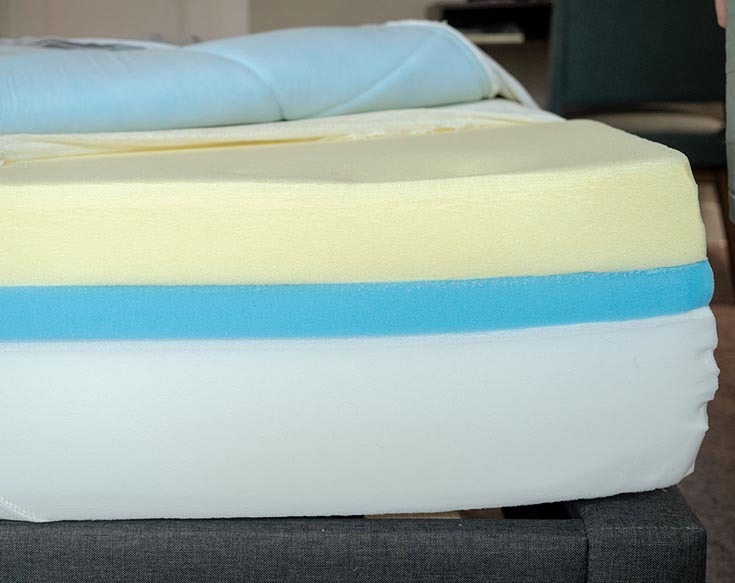 The GhostBed is a good choice for back and stomach sleepers who prefer a balanced feel. The Nectar should be better for side sleepers who like a classic memory foam feel. Please leave any specific comments or questions about the GhostBed or the Nectar in the comment section below.